Last night, as the 10 PM curfew loomed over the city, councilmen, clergy, activists and community members gathered at the Empowerment Temple Church in Baltimore to discuss healing and next steps following Monday night's violence. The event, announced only two hours before its start time, was promoted across social media with the hashtag #OneBaltimore. Accompanying the call to action were selfies and photos of unity throughout Baltimore — images that have been noticeably absent from major media coverage. 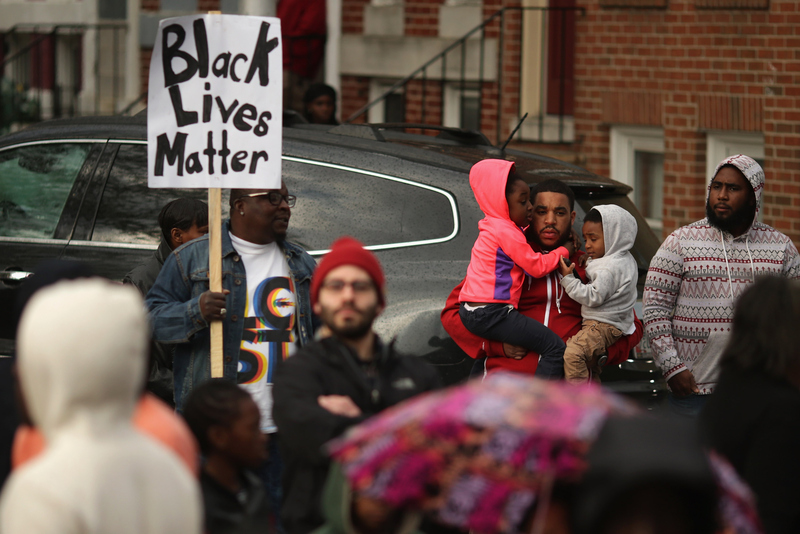 While news outlets focus on property damage, #OneBaltimore is revealing the community behind the protests. “#OneBaltimore is all about bringing Baltimore together," said Jamal Bryant, pastor at the Empowerment temple and organizer of last night's event. "It was a moment of healing and a wonderful night." Along with Bryant, Ben Jealous, former President and CEO of the NAACP, led trainings in civil disobedience for those gathered, simulating confrontations with police and demonstrating nonviolent reactions. Bryant also urged attendees to continue posting under #OneBaltimore as a way to spread both information and hope. With the rise of "hashtag activism," selfies have become an increasingly popular form of protest for our generation; the unprecedented accessibility of social media provides a platform for self-constructed visibility. Furthermore, social media has proven itself to be an unexpected yet welcome source of inspiration during troubling times. Sometimes it is the simple act of saying "we are here" that can spark a revolution, or offer comfort, or teach us how we can be better. Head on over to Twitter to watch #OneBaltimore unfold in real time, and find out how you can help Baltimore residents as they rebuild their community here.